In a way, 2015 was the year that I discovered "black" culture. (Sorry for the quotation marks; as a Finn, I'm not entirely sure what the correct euphemism is here.) Some of the most enlightening things I read or listened to were not from London or Paris, but from Compton or the Bronx. Obviously, Kendrick Lamar's music was enormous last year and it somehow resonated with me more than any other hip hop album ever. D'Angelo's Black Messiah was another big revelation, an album that is, at times, difficult to describe, almost ephemeral and hard to listen to. Then, on other days, I find it straightforward, groovy and accessible. It's a musical paradox, really. 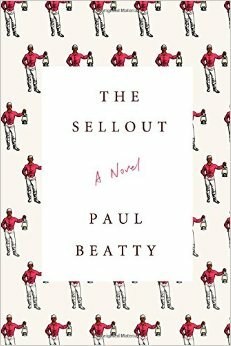 The Sellout by Paul Beatty is another brilliant work from last year. And in a way, I felt that it was a continuation on the cultural timeline of K-Dot and D'Angelo. It's a wickedly funny piece of satire, a novel about race, mostly, and America, intermittently. The setting is a fictional city of Dickens, California; a Los Angeles suburb in the tradition of the aforementioned Compton and South-Central LA. In Dickens, race is more of a non-issue than an actual issue as everyone is either black or Hispanic. The tensions seem to run more in the heads and personal struggles of the characters than in direct confrontations with white America. Because The Sellout is decidedly satiric, there's no real reason to revisit the plot. It's the way that everything is delivered, drawn up and torn apart that makes all the difference. Beatty makes for wonderful and surprising turns of phrase and his prose is the beating heart of the novel. His inner comedian shines bright in passages about twin cities and clinical psychology. The satire is sometimes painful, it hits its mark a little too close for comfort sometimes. Americans themselves find it a little blasphemous, but I guess it's only because they realize its honesty. The Sellout has an earnest tone that is so different from my personal cultural experiences that it made for fantastic reading. There is some of the ominous vibe of Lead Belly's Where Did You Sleep Last Night, some of the sincere jam of Motown mixed up with Chapelle's Show's warmth. What The Sellout shares with Kendrick Lamar is the love for a shared culture that both perhaps fear losing.